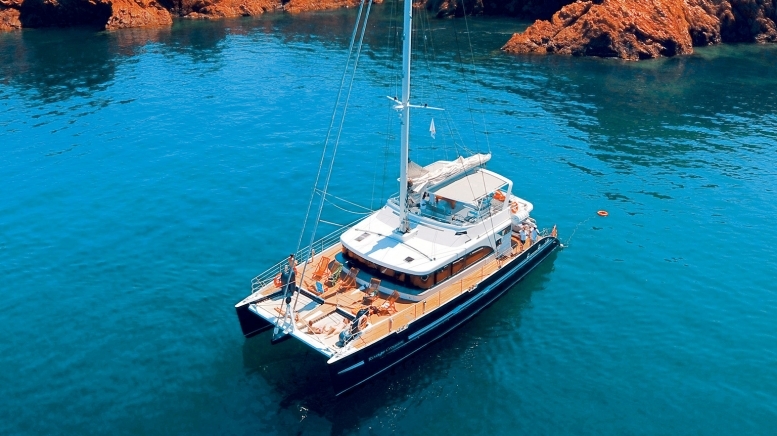 This sailing Catamaran is equipped with Cummins 400 HP engines, backed up by electric motors used for exiting and arriving at port, for minimal environmental impact that is 100% ecological. A Rivage Croisière Catamaran is the perfect gift for any occasion. Treat your loved ones, clients or that special someone to a gift they're sure to love and create wonderful memories. aboard the Rivage Croisière catamaran.